Those responsible for unoccupied and part-occupied hereditaments will be liable for the full BID levy. The BID levy will also not be affected by the small business rate relief scheme and businesses who already pay service charges to landlords will not receive any discount. Where a property is vacant, undergoing refurbishment or being demolished, the ratepayer will be entitled to vote and also obliged to pay the levy with no void period. Collection and enforcement arrangements will be similar to those for the collection and enforcement of non-domestic business rates with the BID company responsible for any debt write off. Each person entitled to vote will have one vote in respect of each hereditament within the Royal Leamington Spa boundary. A proxy vote is available and details will be sent out with ballot papers. A 1.6% levy will be charged to each qualifying ratepayer using NNDR to calculate the amount payable. The BID levy will be set on 1st April each year. It will be updated for any changes in ratepayer, appeals, additions or removals. The BID levy will have to be paid by any new ratepayer occupying an existing hereditament within the BID area up until the end of the five year term on 30th June 2023 even though they did not vote on the initial proposal. Likewise, any new rateable property created during the lifetime of the BID will be obliged to pay the levy. If a business ratepayer occupies premises for less than one year, the amount of BID levy payable will be calculated on a daily basis. The third term of the BID will start on 1st July 2018 and last for a period of 5 years ending on 30th June 2023. 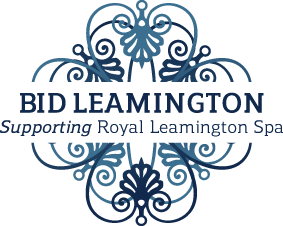 BID Leamington will endeavour to secure additional voluntary contributions to supplement the levy throughout the five year lifetime of the BID. Under the BID regulations 2004, Warwick District Council will be responsible for collection of the levy on behalf of BID Leamington. The levy income will be kept in a separate ring-fenced account and transferred to BID Leamington on an agreed basis. Once elected, the Board of BID Leamington will meet monthly. Every levy paying business will be eligible to be a member of BID Leamington and vote at Annual General Meetings. The BID manager will work with appropriate a gencies to deliver the programme of projects. The BID area cannot be altered without an alteration ballot. However, the BID projects, costs and timescales can be altered subject to Board approval providing the changes fall within the income of the BID. Royal Leamington Spa operates in a highly competitive market place in which consumer choices relating to where they visit and how they spend are increasingly diverse. The town has many unique selling points (USP’s). However, research shows that if it is to improve or even maintain its economic position, the town must promote those USP’s in a more structured manner to a larger, targeted customer base. BID allows the public and private sector to work together on such projects, enabling Royal Leamington Spa and the trading environment to be managed and promoted in a proactive and planned way.